These filters are our go to filters in the field. We carry 3, 6, and 10 spot X4 ND filters. These filters are lightweight and super thin can be used individually or combined as they are threaded and are stack-able. The best part, they do not create a color cast!! Amazing but true! So when you get to your post process, you don’t have to deal with color cast or revert to black and white. We never leave home without these! Click here to visit Breakthrough Photography website. a to prove a product’s ability to repel insects. Many species and varieties of these insects have been tested, including those that can carry dangerous diseases. The RRPT Team swears by this stuff! Click here to visit Insect Shield website. Click here to visit the Photo Gear Designs website. The PGD Tracker marries optical reflex sighting technology, developed originally for firearms, to telephoto action photography. 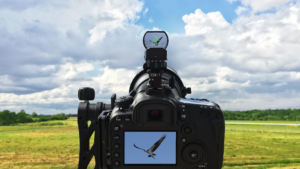 Utilizing the ESM-1 mount created at Photo Gear Designs, the customized PGD Tracker sight can be easily and quickly mounted to ANY camera hot shoe with repeatable precision. Instead of trying to follow a moving target looking through a lens with a narrow field of view and mirror – shutter blackout, the photographer uses both eyes open to the scene and merely keeps the projected sight reticle on the subject. Can be used hand-held or tripod mounted. Road Runner clientele are eligible for a discount on the PGD Tracker. Type ROADRUNNER in the promo field code. Here at RRPT we use and recommend DJI Arial Platforms, or if you prefer drones! We have a Phantom 3 that we use for shooting closer to home and we each have a Mavic Pro that we use when traveling. Click here to check out the DJI product line. 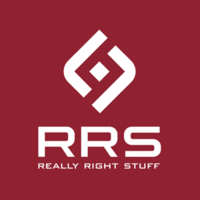 Click here to visit the Really Right Stuff website. 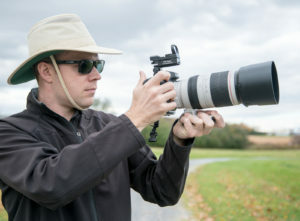 Really Right Stuff offers all types of gear to enhance the photographic experience. From tripods and ballheads, to L-Brackets and panorama rigs that will aid in straight horizontal plane. Click here to visit the Singh-Ray Filters website. Singh-Ray makes a variety of filters that will help take your imagery to the next level! From 10 and 15 stop Mor Slo filters that will let you slow water and clouds to create that ethereal soft look in the middle of the day to polarizing and warming filters that enhance the saturation of color. Road Runner clients receive 10% off, just use ROADRUNNER10 for the discount code. Benro also has great filters. We carry their circular 10-stop ND filter, which has a wonderful warmer tone that creates beautiful long exposure images on cold rainy days. http://www.benrousa.com – Discount code: Roadrunner15 for 15% off your purchase filters and filter holders. Click there to visit the thinkTANK Photo website. With our code you will be eligible for a special offer, when you order $50 or more of Think Tank gear online. At checkout you will be able to select a gift to receive for free. thinkTANK is known for its amazing camera bags, but also offers a variety of products, such as: Beltpacks, Harnesses, Holster Bags, Rolling Bags, Rain Covers, and more! We highly recommend the StreetWalker series; durable, lightweight, and amazingly comfortable to wear due to its thin profile. Click here to visit Mindshift. Mindshift Gear is a thinkTANK company and we feel that Mindshift is “the” leading bag company in the market. Denise and Geff love our Mindshift bags!